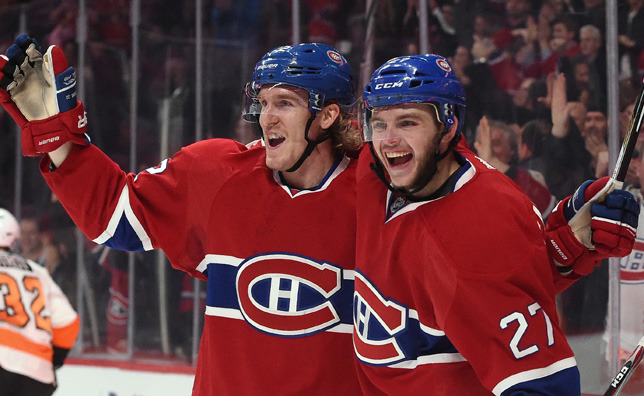 MONTREAL – These days, Dale Weise has every reason in the world to be smiling bright. Dale Weise with his son, Hunter, and newborn daughter, Jordanna, at a local hospital in Winnipeg. After stringing together a career year with the CH, the 27-year-old returned home to Winnipeg to enjoy what can only be described as an unforgettable summer. Not only did the five-year NHL veteran and his wife, Lauren, welcome their second child, Jordanna, back on June 10, but the couple also purchased and recently took possession of a brand new house in the Manitoban capital, too. While Hunter might still be very young, Weise admits that he’s already enjoying playing the role of big brother, taking advantage of every opportunity to spend quality time with Jordanna day and night. In between caring for his newborn, kicking back with Hunter and organizing a move, the former fourth-round selection has been training hard in preparation for the 2015-16 campaign, gearing up for his second full season with the CH. 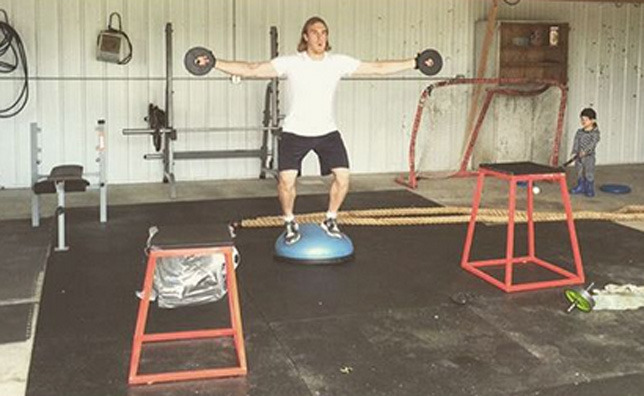 Weise spent a significant amount of time training at his cabin this summer. He even has a gym in his garage. On the ice, Weise stayed true to a summer program that played an integral part in his being able to compile a career-high 10 goals, 29 points and a plus-21 differential in 79 regular season games, before coming up clutch once again in the playoffs by scoring both the game-tying marker and the overtime winner against the Ottawa Senators in Game 3 of the Eastern Conference Quarterfinals. Confident in his preparation over the last 90 days, Weise has high hopes for himself this year. That shouldn’t come as a surprise given his remarkable play since joining Michel Therrien’s troops back in February 2014, especially his unique ability to thrive alongside different playing partners up and down the lineup. Weise is looking forward to what he hopes will be another productive year in Montreal. And, that’s exactly what Weise expects of the Canadiens as a group as well.